Panel brick, thin brick or sometimes called Z brick are ¼ inch thick and look and feel like a brick veneer. What makes panel brick different? Three major advantages, no need for footings and lintels, reduced labor cost for installation and lightweight design. Buildings with brick veneers require a 12” footing with four inches for a brick lintel. The concrete or block used for installation of a brick veneer increases cost. The process of bricking the building also takes more time. Panel brick can go on any home or building. Architects find using panel brick a great application for updating many older looking commercial buildings. 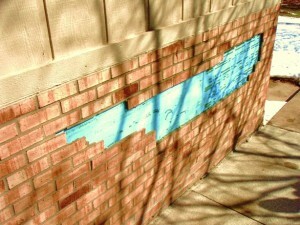 Panel brick has the same maintenance issues of many other brick veneers. Spalling brick or flaking brick comes from the absorption of moister into the wall. 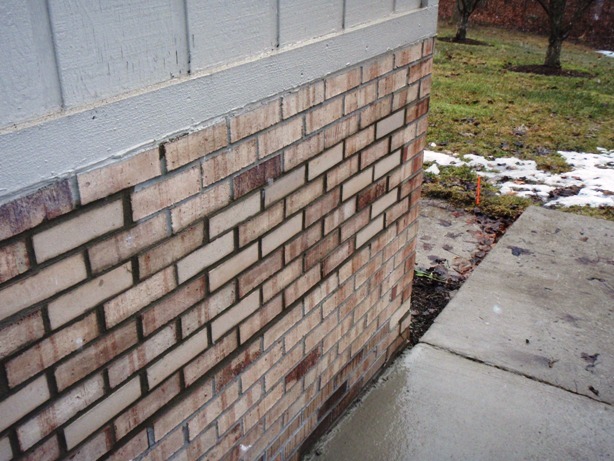 Mortar has minute holes that can hold water and during freezing and thawing conditions can cause the mortar and brick to crumble and even fall off the building. Walls that looked warped or wavy are indications of an old instillation process. New and improved methods of installation and materials make thin brick easier to maintain and use. Metal sheeting with tabs is needed when repairing thin brick, these tabs support the individual brick. Sheets of metal are fastened to the studs and then brick can be secured to the metal. A high strength mortar should be used. We suggest a stone mortar for increase in bonding strength and compression strength.